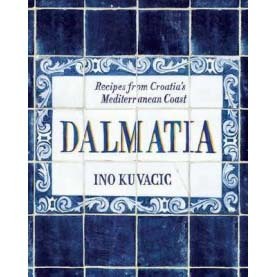 Dalmatia is a celebration of the food of Croatia’s Dalmatian Coast, a region with a long, rich history, but one that is only slowly coming to prominence as tourists continue to discover its rugged beauty, blue waters and rustic, simple cuisine. Alongside more than 80 achievable recipes (presented as Salads & Vegetables; Seafood; Meat; Desserts and Drinks), the book sells the dream – and a sense of discovery. It tells the story of this place, in words and pictures, communicating both to people who aspire to experience it for themselves, and to those with fond memories of having done so. Accompanied with stunning local photography of both this beautiful region and the culinary experiences it offers.